Get ready to read like never before. 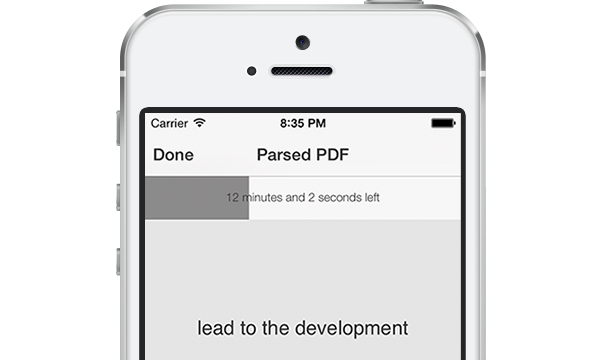 Import PDF & ePub files, as well as TXT, RTF, DOC, DOCX, AZW (Amazon Kindle) , ODT (OpenDocument) and MOBI documents. All formats are now included with the app! 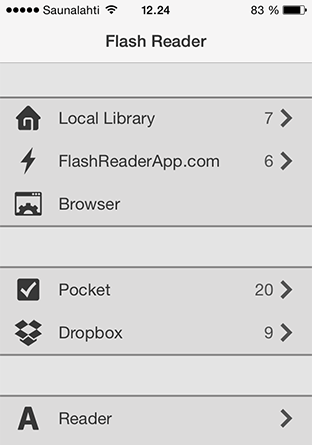 Sync your Pocket, Instapaper & Dropbox articles straight to the app. Easy importing of various formats, including popular formats such as PDF & ePub. Use the built-in browser to save articles, straight from the web. Using the built-in Support-button, you can send a support message directly to us and we can even respond to you, all inside the app. 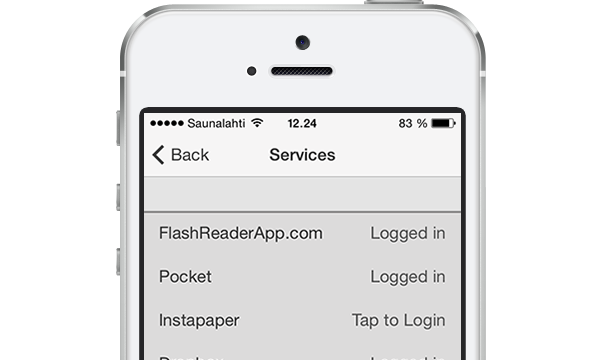 Customize to your heart's content, from the speed and amount of the words to the theme of the app. Copyright 2010- Didstopia. All Rights Reserved.